This is another beauty I got in my prize box from Pink & Purple Dots. (PS if you don’t already follow her you totally should. She is amazing!) I have already mentioned 2 of the gorgeous goodies from my box before here. I have NO idea why it has taken me so long to share this gorgeous polish. 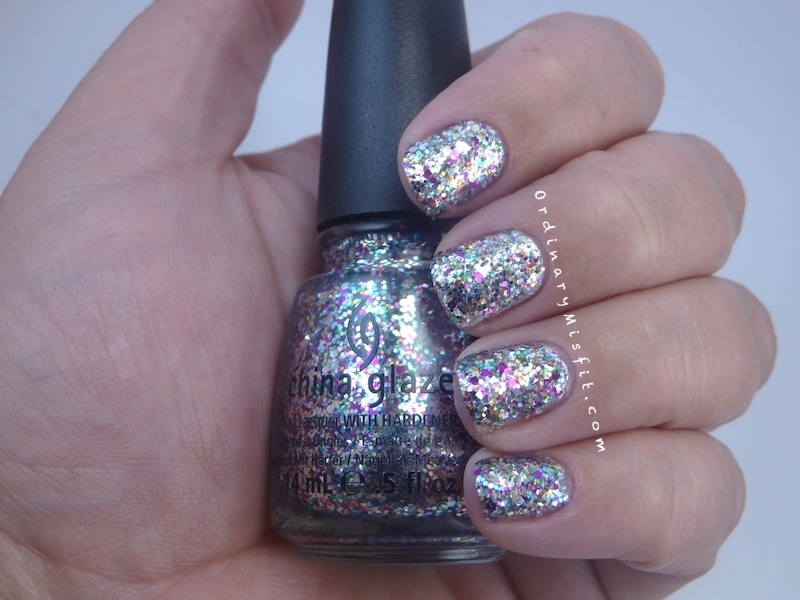 I have been wanting to try China Glaze polishes for forever and I was so super excited to see this polish in my box. Let me just tell you, I am not the biggest glitter fan around. I love glitter, I just didn’t wear it myself. All past tense though, suddenly I can’t get enough of it. I will leave you now. To swoon. Because I do, every single time I look at this gorgeous glitter. These photo’s really do it no justice. I have tons of ideas so I am sure you will be seeing this beauty much more often! Don’t you love it? I hope you have a lovely weekend. I think we are all starting to feel a little better but it is a slow process. Hopefully after a weekend of doing nothing we will be right as rain again. PS: My #MintManiforTaliaJoy will be up a bit later. LOVE this. After Ramadaan it’s me and glitter polish for summer! zaamissbowtie recently posted…I met Paula Begoun and boy does she have an opinion! Holy shitballs this is beautiful! So pretty! I love glitter! Girl! can we buy this on amazon or ebay. I tried searching for the product name but no result found.